Wine Road Episode 53- Art and Sonoma County are Synonymous. 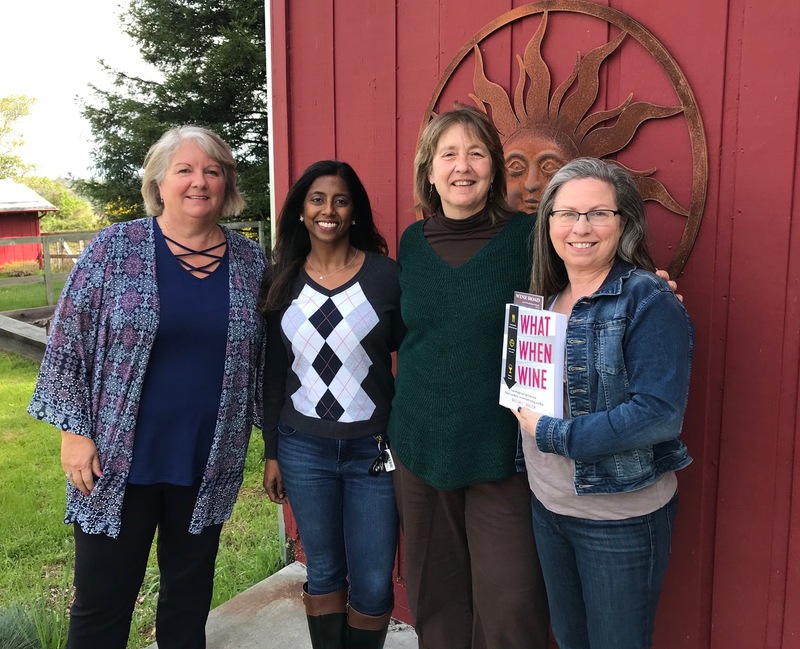 In this episode we have special guests Anjana Utarid, Executive Director of Sebastopol Center for the Art (SCA), and Eve Lindi, SCA Open Studio Project Manager. The ladies pop the cork on the very fitting 2013 Winemakers Handprint Merlot from The Meeker Vineyards. Eve fills us in about the exciting new aspects of Art at the Source, think wine and art. Anjana shares how the SCA is collaborating with our community and ladies get sidetracked on the delicious food at Hip Chick. Marcy then gives us the best diet advice we’ve heard in years just before Beth and Marcy remind us to visit WineRoad.com for the Events Calendar before your visit. If you like the idea of wine and art check out a few of our member’s art displays.